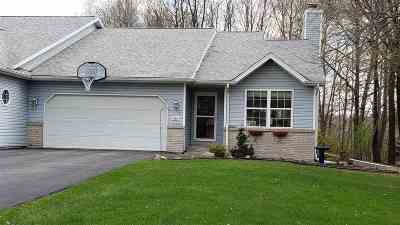 Self-managed, very well-maintained condo next to Indianhead Golf Course! Master bedroom with master bath and double closets. A second generous size bedroom, main floor full bath. Large open concept living room/dining room and eat-in kitchen, oak cabinets. Lower level laundry and full unfinished basement. Vaulted ceilings, A/C, all appliances stay. Attached 20x20 insulated, dry walled garage, lots of storage and parking area, asphalt driveway. Extensively landscaped with perennials.